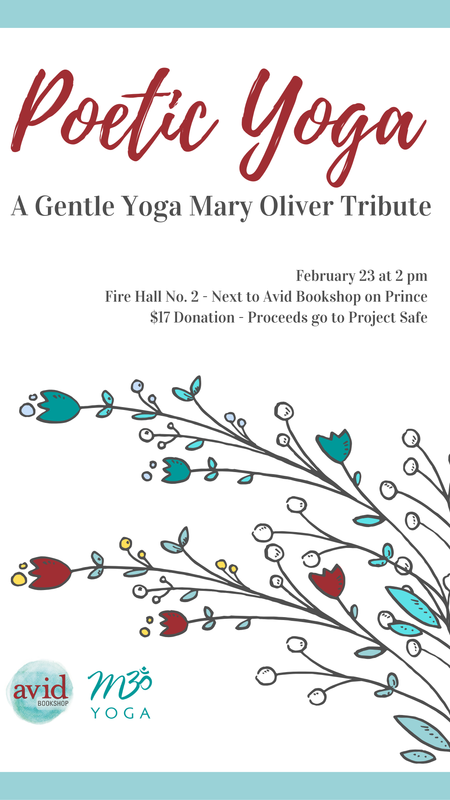 This event has passed, but please send us a message if you like the idea and would be interested in another poetic yoga and/or meditation class in the future! All you need to bring is yourself and a copy of your receipt/web order confirmation. Please wear comfortable clothes. M3 will provide mats for those who don't have their own; if you are unable or uninterested in getting onto the floor for the course, no worries: we have cushioned chairs available for those who want to do chair yoga. Chase will provide instruction appropriate for all levels and experience. Newbies are encouraged to join. Buy a pass for this class at either Avid Bookshop or with the ticket link on this page. The confirmation email you receive for this order is what you'll need to show at the door to gain entry to the class.